Founded in 2014, What's Your Flavor? is an open invitation to intersex, lesbian, gay, trans, queer and bisexual artists and filmmakers in the shape of a call for entry. A call for them to send us their works so they can be distributed by Collectif Jeune Cinéma, a French cooperative dedicated to experimental cinema, historically built around “Cinéma du corps” (physical cinema), a different cinema, exploding mainstream cinematic formats and subjects. These last years, without any obvious reason, a gap appeared between these LGBTIQ practices and CJC. However, fueled by an ever more innovative and vivid spirit, these artistic practices have undeniably kept on existing and blossoming, as can be demonstrated by the increasing programmes and events curated by a few brilliant film festivals internationally. As for the situation in France, though there are fortunately some spaces where these films are being shared, none of them are exclusively dedicated to the specific area of LGBTIQ experimental films. This is the territory we seek to explore through What's Your Flavor?. Throughout these past two years, the seven programmes we curated and screened in various venues, the thirty works we chose to put forward and the encounters and partnerships born from these experiences have confirmed the need for this work. Among these films, even though some have now acquired more visibility in mainstream spaces, others — which are often the most radical in form as in subject – remain on the side. In our view, so-called LGBT film festivals, mostly dedicated to fiction and documentary features, have not made enough room for experimental film. Similarly, in experimental film festivals, LGBTIQ films are hugely underrepresented in relation to the number of works produced each year. This is a situation we have to change. 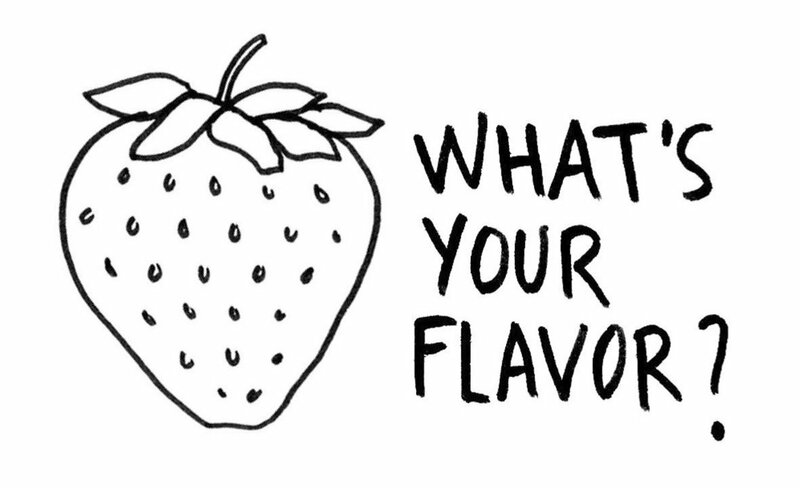 With What's Your Flavor?, we hope to give to these alternative experiences a space to be expressed. The foundations of our identities are endless wells of questions to be explored: body, sexuality, gender, intimacy, desire, transmission, images and appearances; all aspects of the world that excite and challenge us. We know that there is no question that does not concern our identities. LGBTIQ individuals are impacted by the colonial history and the fights of racial minorities too. They share the reality of global warming and every other environmental issue. They are exposed to surveillance and repression. They adapt to technological transformations and use them to develop their own languages and cultures. They are part of nations too, even if their identities aren't always national: they belong to the peoples who migrate as well as those who welcome. They live with the present of the HIV/AIDS epidemic, of addictions and reflect about “taking care” and “taking risks”, about danger and criminality. They are aware of the realities of wealth distribution, of the fact that the appropriation by some implies the expropriation of others. They can share collective beliefs just as they can refuse to serve neither God nor master, or invent their own rituals. They have personal stories, dreams and memories, they have everyday lives and imaginary lives that are, just as much, to be felt and reflected upon. We are looking for an open dialogue with these filmmakers and their singular concerns. Our intuition leads us in the direction of resistance, we want to support and showcase artists who make films the way warriors take up arms, and whose works transform the battelfield. Submit your experimental films dealing with LGBTIQ issues in order to be a part of this years different What's Your Flavor? programmes. Submissions are open until March 5th 2019 on Collectif Jeune Cinéma's website www.cjcinema.org for films made between 2010 and 2019, without any restriction for duration, format or support.